Digital, online & social marketing communications for a criminal law barrister in Sydney. 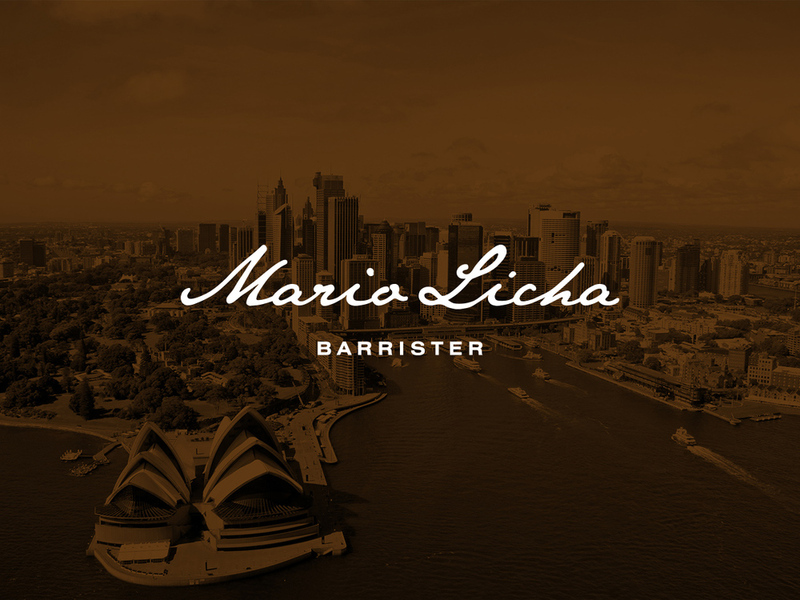 As a local Barrister in Sydney, Mario Licha recognised the importance of his personal brand in the industry and set out to redefine it. He was in need of complete branding exercise including all assets and materials for the business to reflect his professional approach and status. Mario also lacked the digital and online presence required to engage his network, from his website to his presence on social media and via email marketing. We worked closely with Mario to understand what his personal brand was and to help to articulate it through his business materials. We created a new logo and designed a range of business tools such as business cards, letterheads and envelopes. Importantly, a completely responsive website solution was developed for Mario including a powerful, yet simple-to-use blog which could be used by Mario to publish his thoughts and insights. Two email newsletter templates were also designed for Mario to be used for future marketing communications. With a strong new brand, consistent materials and a strong set of digital tools, Mario is ready to begin regular, effective marketing communications to help grow his business.